ORIGINAL COVER ART by Glenn Chadbourne. This is a New Stephen King Cover in the Glenn Chadbourne Original Cover Series No. 15. Inspired by the collection by Stephen King. Wraparound Cover Art by Glenn Chadbourne and Signed / numbered by the Artist! See All New Stephen King Cover Series HERE! 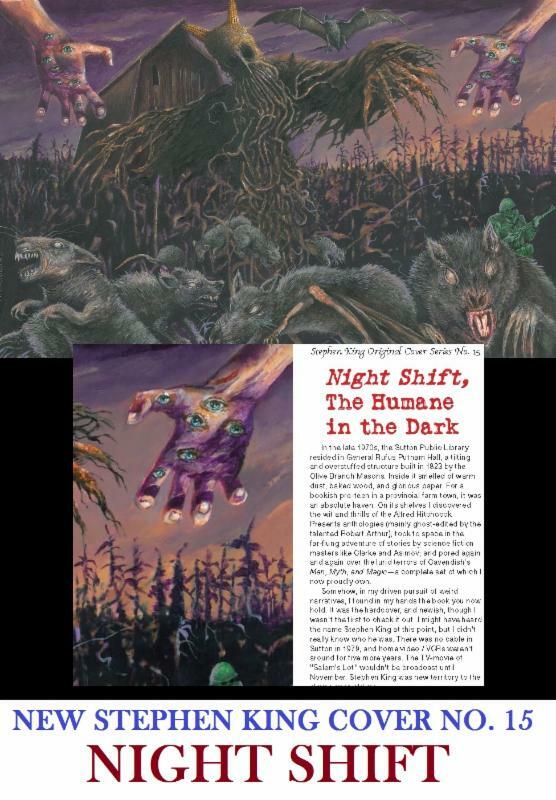 NIGHT SHIFT, THE HUMANE IN THE DARK by guest author, Jack Haringa. This cover fits the current Doubleday hardcover. 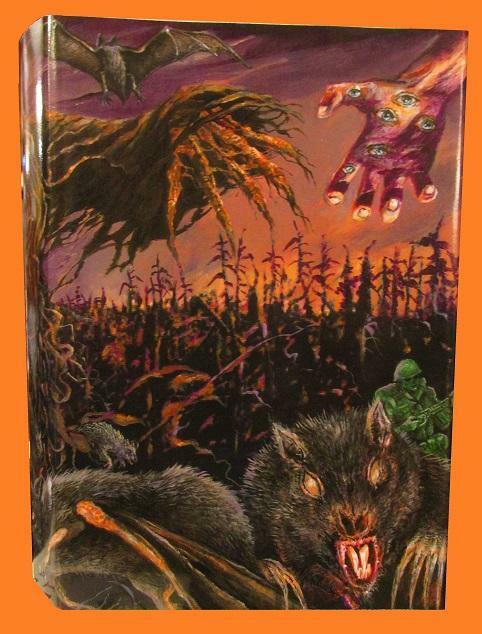 Your Chadbourne original cover is archived in an acid-free book cover that we ship with your order and you can combine the Scribners cover, with this new Chadbourne original cover. If you would like to subscribe to the series, just order any cover in the series and put in the memo field I WANT TO SUBSCRIBE and we will assign you a number that will be yours for the whole series. Original artwork is copyright 2015 by Glenn Chadbourne.